Le Morte d’Arthur captivated Edward Burne-Jones. 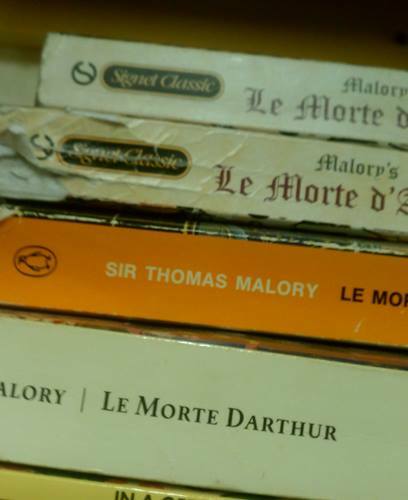 His passion for all things Arthurian dated back to his days as an undergraduate at Oxford, when he and close friend William Morris would read the tales together. 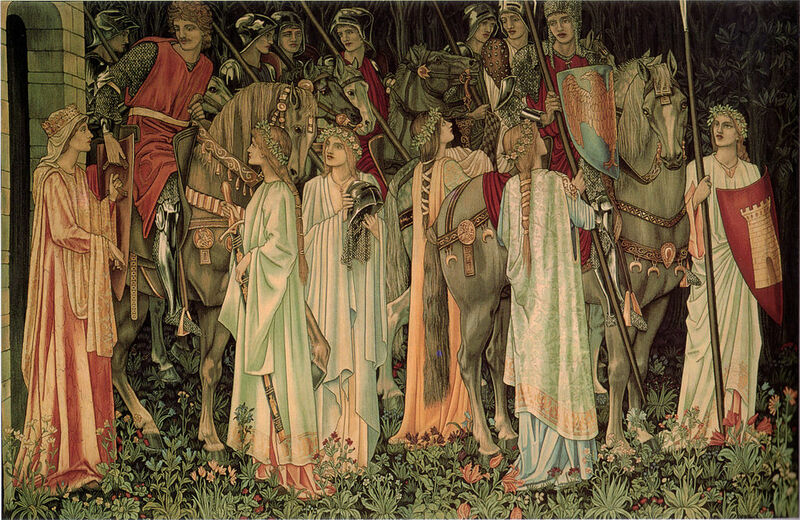 Burne-Jones painted Arthurian subjects several times in his career, including the famous The Last Sleep of Arthur in Avalon. Merlin was infatuated with Nimue. Unfortunately for him, he taught her the very magic that she later used to imprison him. 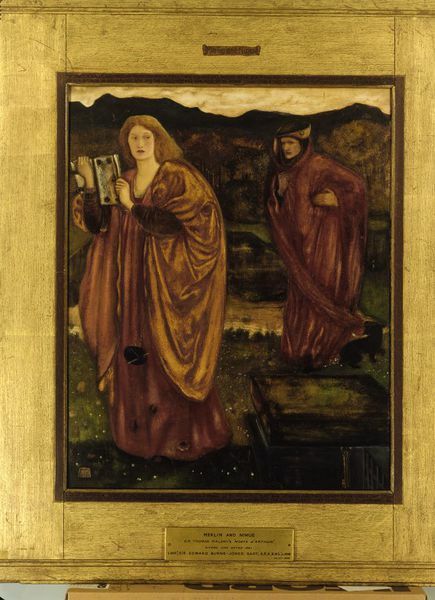 In his 1861 painting Merlin and Nimue, Burne-Jones used Fanny Cornforth as a model. As Nimue, she turns her back on Merlin as he falls prey to her spell. I don’t think he saw Fanny as ‘evil’, even though she wasn’t considered respectable due to her past as a prostitute and the fact that she was Dante Gabriel Rossetti’s lover. But it is interesting to note that when he depicted Nimue in this work, he didn’t opt for his usual androgynous beauty. Kirsty Stonell Walker has an interesting post about body types and Burne-Jones paintings of Fanny. 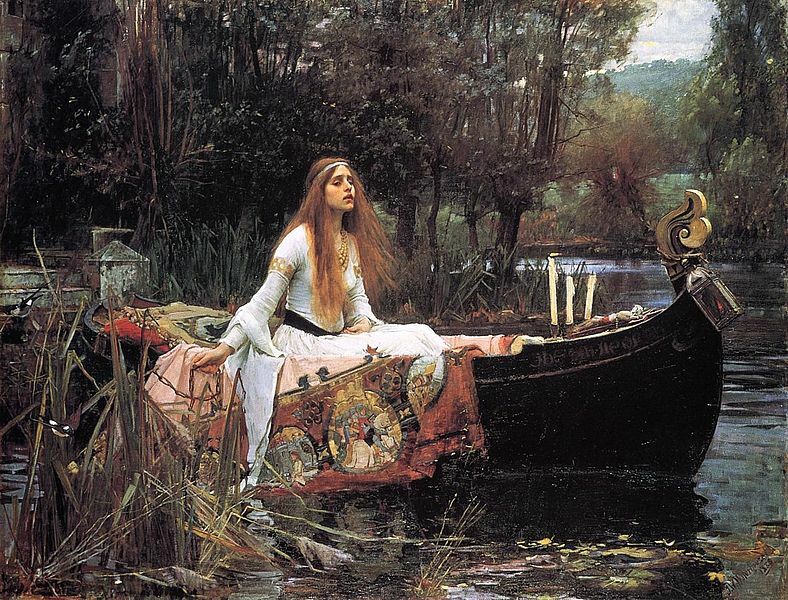 His painting of Nimue in The Beguiling of Merlin is more personal. Here he uses his own personal “Nimue”, Mary Zambaco. Burne-Jones and Zambaco had an affair that ended with an ugly and embarrassing public scene. In happier days, he had painted Zambaco as his ideal beauty in his Pygmalion series. 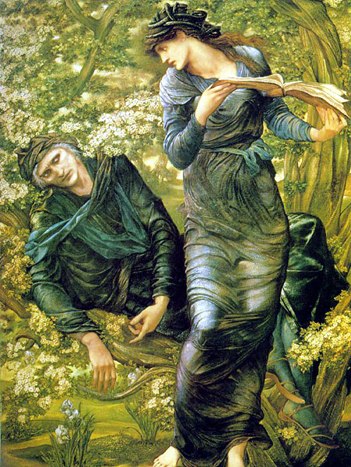 In the bitterness that often accompanies the end of an affair, he now painted her as the scheming, evil Nimue as she ensnares Merlin in the hawthorne tree.